This is a Contemporary Afghan weaving that reproduces the muted subtleties of the famous 19th century Ziegler-Mahal carpets. Hand span Ghazni wool and vegetable dyes are used to create a soft, aged look that can complement a traditional or be stunning feature in a minimal setting. 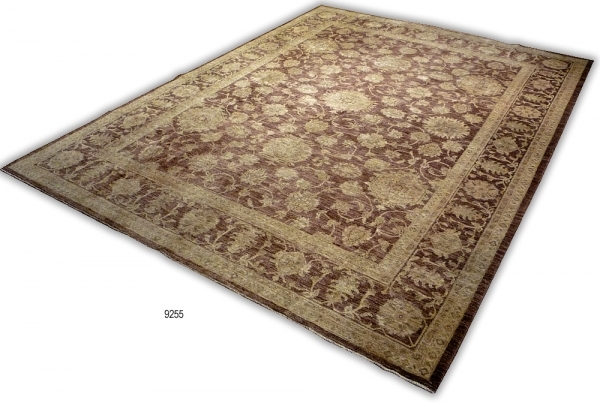 Afghan Hand knotted Wool pile woven on cotton weft and warp, Perfect condition. 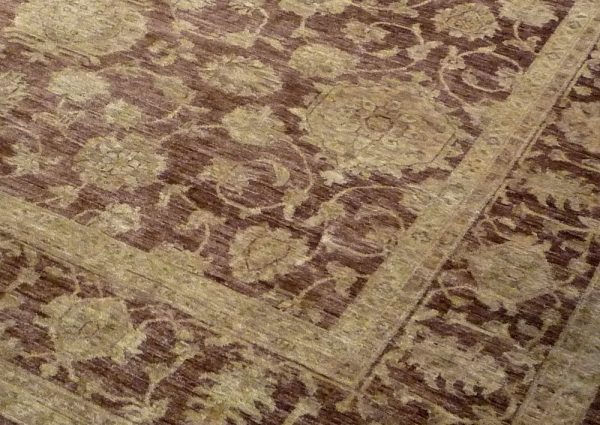 The colours of the rug look different depending on the angle from which you look at it.